In order to stop nursing home abuse or to remove California seniors from assisted-living facilities where they have suffered serious injuries as a result of elder neglect, we need to know that this kind of abuse is occurring. However, according to a recent report in California Healthline, the silence surrounding elder abuse is one of the biggest barriers to helping seniors who have been victims of nursing home abuse and neglect. 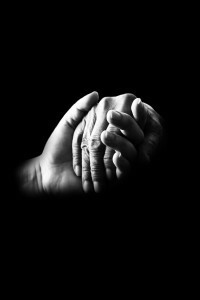 The report emphasizes that, when it comes to elder abuse, “one of the hardest parts about prosecuting and curbing it is that the victims are often too embarrassed or scared to speak up.” The California Healthline report cites an article in the Modesto Bee that clarifies that problem of silence in relation to nursing home abuse in California. In Modesto, CA alone, the Modesto Police have investigated 30 cases of elder abuse this year. According to the article, there are “dozens more throughout Stanislaus County,” and those numbers do not even begin to take into account the number of cases that have been reported in San Diego County or in other parts of the state. The article cites one of those 30 cases as an example of the difficulty of convincing elderly Californians to report nursing home abuse and neglect if they are able to do so. In that case, an elderly woman ultimately was found in her home “covered in bed sores” and in otherwise deplorable conditions. Due to the fact that the woman was “lying in her own feces and urine in a bed infested with bed bugs,” according to the article, she sustained an infection that spread to her blood and ultimately resulted in her death. She did not report elder abuse or neglect at any point. Instead, an employee with the elderly woman’s In-Home Supportive Services found her in this condition. Currently, the National Center on Elder Abuse (NCEA) reports that approximately 10% of seniors are victims of elder abuse or neglect. However, that figure does not take into account the many elderly Californians who are victims of these crimes but are not reporting them. Why would someone who is being abused be silent about it? In short, many seniors are too scared to report, concerned that their abusers will learn that they have contacted authorities. At the same time, many California residents who have suffered injuries because of nursing home abuse or neglect are too embarrassed to report their situation. As a result, many cases simply go unreported. Report and signs of nursing home abuse or neglect to the police department and/or to the Long-Term Care Ombudsman (or, if it is an emergency, call 911). If someone you love has been the victim of nursing home abuse or neglect, an experienced nursing home abuse lawyer in San Diego can assist with your case. Contact the Walton Law Firm today for more information.